An analyst report specifically blames the used videogame market for a decline in new videogame sales, using some facts to back it up. Analyst group Cowen and Company have put together a report that links the increase in used game sales to a decrease in overall new software sales. Comparing the current state of the industry today to a similar point in the lifespans of the PlayStation 2 and the Xbox, the difference is quite evident if the facts hold true. Cowen notes that around 30 million people owned the PS2 and Xbox back in 2003, and around the same amount of people owned the PS3 and Xbox 360 in 2009. The difference between 2003 and 2009 is that 106.9 million new games were sold in 2003, while 85.5 million were sold in 2009. That's approximately a 20% decline. Meanwhile, over the same time period used game sales at retailers like GameStop have increased substantially. 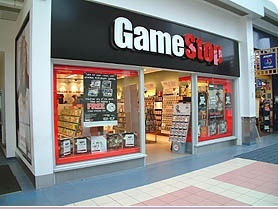 GameStop itself sold $403 million of used games in 2003, and $2.39 billion in 2009. That's roughly a 600% increase and GameStop is said to account for about 85% of the used games market. Further, Cowen analysts present that average second month sales of new games have fallen by 62% since 2001, sometimes reaching a 90% drop-off even for popular titles. This is far from definitive proof but the report does name second-hand sales as a key reason for the decline in software sales. Other factors include "stubbornly high hardware price points," which probably refers to the PlayStation 3 launch price of $599 for the 60GB model. Cowen names initiatives such as EA's Online Pass and Project Ten Dollar as a way to negate the decline in new sales due to used sales, and says that eventually consumers will accept these types of programs as the norm.